We raised $375 from our fundraiser with Haute Dogs in Alexandria! Thanks again everyone who came out to support us humble local businesses! 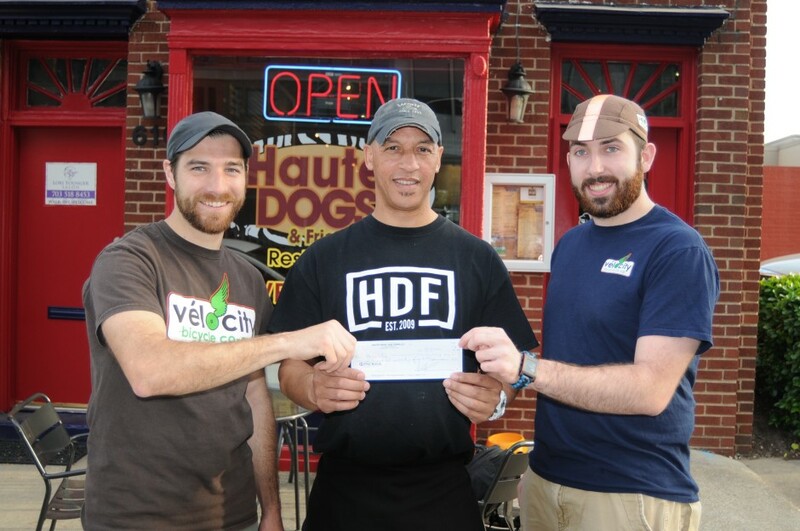 Volunteer coordinators Joe and Kyle receiving check from Haute Dogs owner Lionel.